University of Georgia Press, 9780820331027, 117pp. 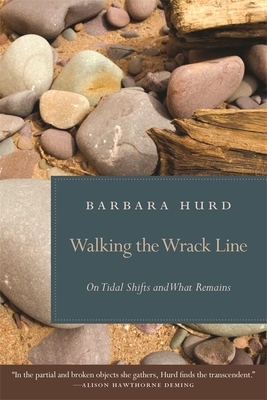 The book began on a beach, Hurd says, "with the realization that a lot of what I care about survives in spite of--perhaps because of--having been broken or lost for a while in backward drift. Picking up egg cases, stones, shells, I kept turning them over--in my hands and in my mind." Each chapter starts with close attention to an object--a shell fragment of a pelican egg, or perhaps a jellyfish--but then widens into larger concerns: the persistence of habits, desire, disappointments, the lie of the perfectly preserved, the pleasures of aversions, transformations, and a phenomenon from physics known as the strange attractor. Barbara Hurd is the author of "Stirring the Mud," "Entering the Stone," and a collection of poetry, "The Singer's Temple." Her work has appeared in "Best American Essays," "Yale Review," "Georgia Review," "Nimrod," "New Letters," and "Audubon." Hurd teaches creative writing at Frostburg State University, where she has held the Elkins Professorship, and at the Stonecoast MFA program at the University of Southern Maine.